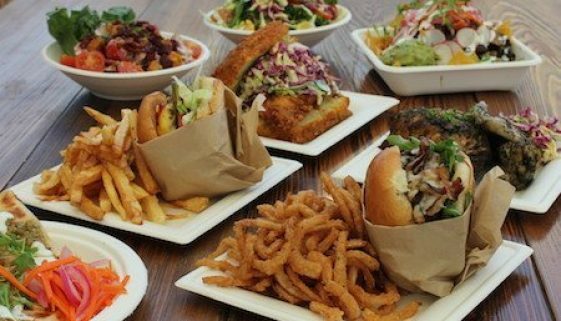 Its Father’s Day Weekend and if the fastest way to a man’s heart is through his stomach, than maybe that’s the right path to let Mr. Dad know how much you love and appreciate him. This installment of 3 for 30A has a few suggestions for a full and happy dad. To keep up to date on these events and happenings around 30A, download the 30aFoodandWine.com App today! 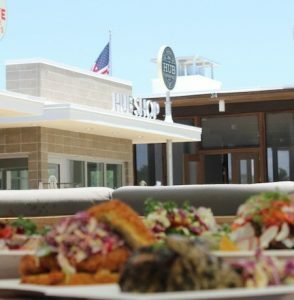 Friday, June 19 – This Friday start off Father’s day weekend with a night out to one of 30A’s top “Hot Spots for Great Steak” where the smoky oak grill invokes caveman-like cravings. Pandora’s Steakhouse in Grayton Beach offers large portions of fire-grilled steaks and fresh gulf seafood, hand-tossed pizzas, and house-made sliders. If that hasn’t gotten your stomach grumbling yet, consider their famous slow roasted prime rib with au jus and horseradish. And if he’s not too full from the Filet Mignon or the Broiled Rock Lobster Tail, than maybe daddy-o will be willing to wiggle a few toes on the dance floor. RTFO will take the stage at Pandora’s outside Tiki Bar starting at 9pm. 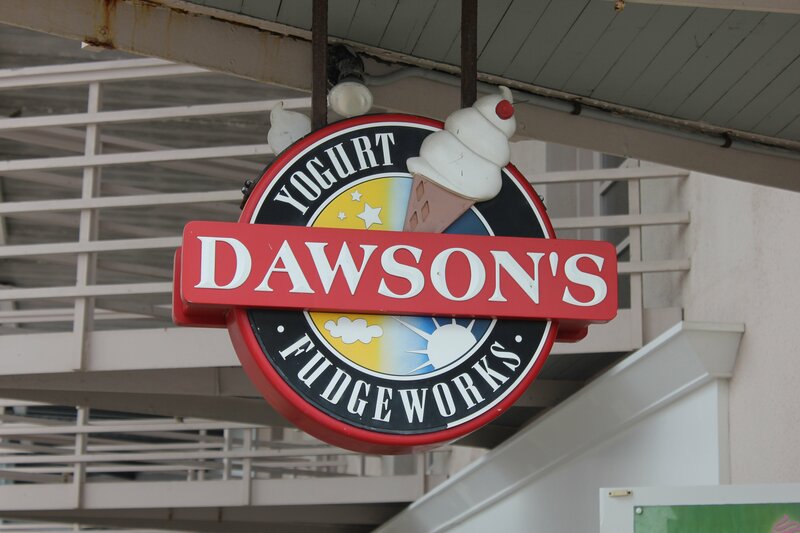 Stop by Dawson’s this weekend for a 1/2 lb fudge free with the purchase of 1 lb. Saturday, June 20 – In our household, no Father’s Day is complete without a slice of traditional “Father’s Day Fudge”. My father never really ate too many sweets, but if offered a piece of rich chocolatey fudge he was quick to nab a bite. 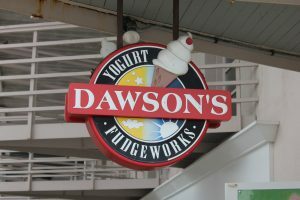 This year I’m picking up a pound (or two) at Dawson’s Yogurt and Fudge in Seaside. They are serving up the sweetness from 10am to 11pm every day with flavor favorites such as chocolate walnut, red velvet, and cookies & crème. Their best seller is called Tiger Butter and is a layered blend of peanut butter, chocolate, and vanilla fudge. Pick up a pound for your dear ole Dad this weekend (and get a ½ pound free for yourself). Spend Father’s Day at the Hub on 30a with live music and specials all day long! Sunday, June 21 – What might be best way to spend Father’s Day this year? Let him enjoy the good things in life like time with family, tasty food, and the beautiful outdoors – all without having to lift a tong. Together with the Children’s Volunteer Health Network, The Hub will be hosting an all-day event, complete with lunch specials, live music by Geoff McBride, and a Grill Takeover by James Murphy of Barefoot BBQ. It’s like a backyard party, but without the grueling grill cleanup! Dad and the family can kick back under a shady umbrella or toss around the ball on the soft green. There is also the Oyster City Beer tent where Dad can enjoy all-you-can-drink for a $50 donation. 20% of the Hub’s proceeds this day will go to the CVHN. Eggs on the Beach – What you missed!! !